Alaska Native News Oct 21, 2018. 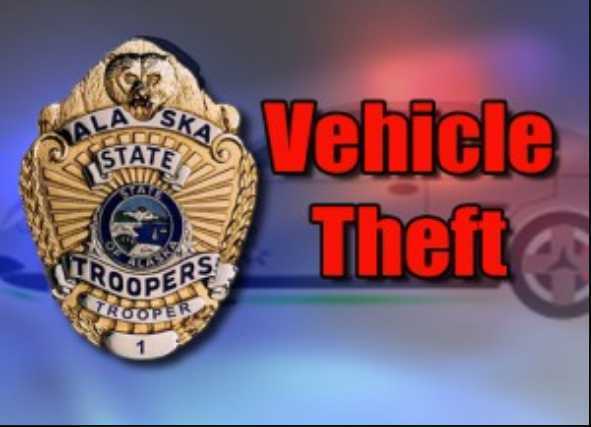 Ketchikan-based Alaska State Troopers pulled over a bicyclist near mile six of the North Tongass Highway just before midnight on Saturday night and arrested him on multiple charges it was reported in the trooper dispatch. At 11:47 pm, troopers on patrol observed 36-year-old Paul Jackson abandoning a vehicle and attempting to leave the scene on a bicycle. Troopers contacted Jackson and the ensuing investigation would find that Jackson had stolen the vehicle earlier on Saturday and when he saw troopers at mile 6 of the North Tongass, decided to ditch the stolen car and leave on his bicycle. When troopers contacted Jackson, they would find that he was the subject of two warrants for parole violations on two previous charges of Vehicle Theft I and a felony arrest warrant for Unlawful Evasion. The vehicle that he abandoned would also be found to be stolen from a Heneghan Street address earlier in the day. Jackson was transported and remanded to the Ketchikan Jail with no bail set.